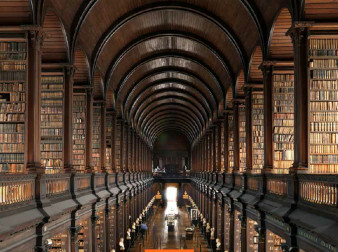 The University of Florida’s College of Liberal Arts and Sciences offers students the opportunity to study at Trinity College Dublin. As Ireland’s university on the world stage, Trinity is recognized for academic excellence and a transformative student experience. 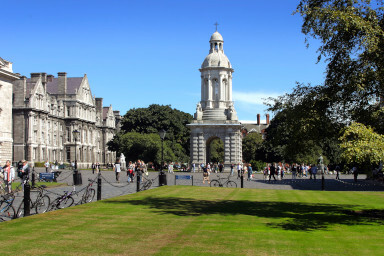 The historic campus is located in the heart of Dublin city center, Trinity is Ireland’s highest ranked university according to the 2019 QS World University Ranking. It is home to 17,000 undergraduate and postgraduate students from 122 countries. With a tradition of scholarship spanning more than four centuries, Trinity is a diverse, interdisciplinary, inclusive environment which nurtures ground-breaking research, innovation, and creativity through engaging with issues of global significance. Students must have completed 12 hours of coursework at the University of Florida. Course equivalents are possible by contacting Dr. Brian Harfe in the CLAS Deans Office. Tuition at the host school is waived for exchange students. Students participating in an exchange pay tuition directly to the University of Florida at their usual tuition rate. All financial aid, scholarships, and fellowships are applicable. Students incur no additional tuition cost while they are on an exchange. Study Abroad and visiting students can access limited on-campus housing as well as purpose-built student accommodation in Dublin’s city center. University of Florida students needing financial aid should apply through UF Student Financial Affairs. Normal eligibility for aid may be used while studying abroad as an exchange student. This includes using the Bright Futures scholarship and the Florida Pre-Paid College Plan. For fall, spring, and academic-year scholarships administered by the University of Florida International Center, the deadlines for application are: early March for programs starting in fall; and early October for programs starting in spring. Applications forms are available on the UF International Center website. – The Brian and Kate Harfe International Exchange Scholarship: Please note that preference will be given to students spending an entire year abroad. – Post Family Fund: Please note that preference will be given to students spending an entire year abroad. Students will be billed for mandatory international health insurance which includes emergency medical assistance. A $375 non-refundable service charge is assessed for students participating in single semester or Academic Year programs. (The $375 fee is refundable if student is not accepted to the program). This charge is due within 21 days of the application. Students will be charged regular UF tuition while participating in the program.